Libraries are well known for their rows and rows of books, but readers in Washington County are increasingly loving reading their favorite books digitally, according to county libraries. 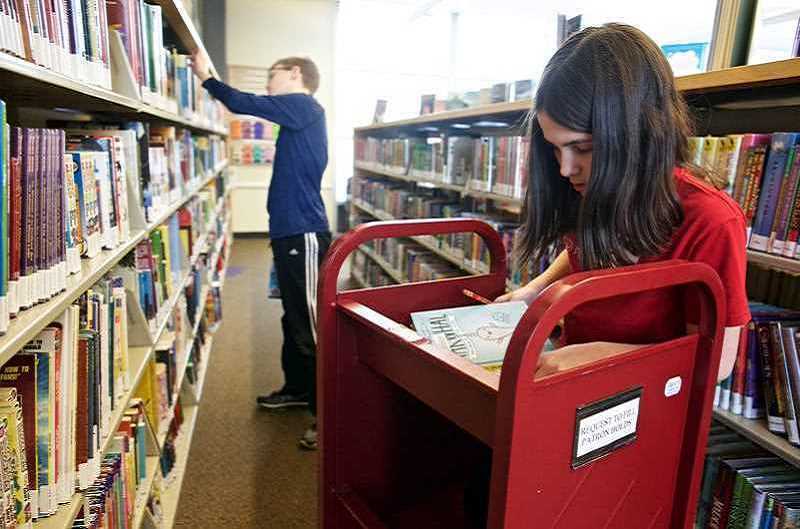 Washington County Cooperative Library Services reached 1 million digital book checkouts last year, according to Rakuten OverDrive, a leading online platform for libraries and schools. Rakuten OverDrive provides the "Libby" smartphone app, which allows library patrons across Washington County to check out and access ebooks and audiobooks 24 hours a day, if they have an active library card. According to Rakuten OverDrive, fewer than 70 library services in the world have reched 1 million downloads. So, what did Washington County residents check out last year? The top five eBooks checked were "Origin" by Dan Brown, "Little Fires Everywhere" by Celeste Ng, "The Rooster Bar" by John Grisham, "Into the Water" by Paula Hawkins and "The Midnight Line" by Lee Child. For the audio learners, the top five audiobooks checked out were "A Wrinkle in Time" by Madeleine L'engle, "Origin" by Dan Brown, "Into the Water" by Paula Hawkins, "Killers of the Flower Moon" by David Grann and "Harry Potter and the Sorcerer's Stone" by J.K. Rowling. Want to get in on the action? Visit wccls.overdrive.com or download Libby to get started and borrow ebooks and audiobooks at your own pace.